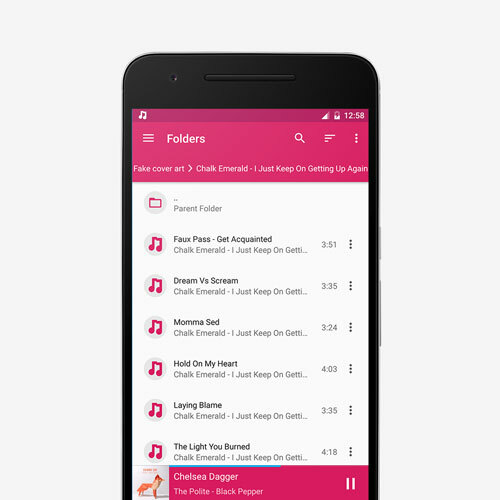 Built by a music lover for music lovers, Shuttle is the music player of choice for your Android device. Now open source! 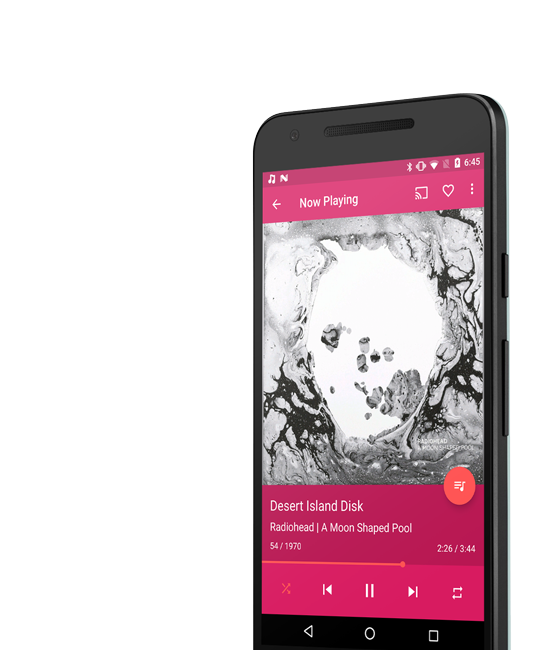 The music player of choice for your Android device! Designed for phones and tablets, Shuttle takes pride in keeping up with the latest design trends and features. 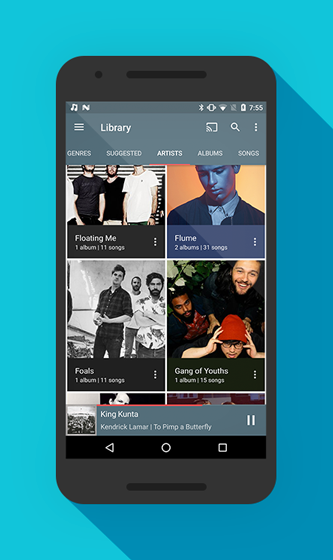 Feel right at home browsing your music library with Shuttle, making playlists and listening to your favorite songs. Create playlists, manage a queue, edit music tags, browse folders, view lyrics, download artwork and more. Choose from a huge number of themes, customize your layout, or change what happens when you plug your headphones in. Shuttle does the heavy lifting for you. View lyrics, automatically download artwork & read artist bios. Double tap the artwork to view lyrics, or read the biography of your favorite band. Quality is important. Tweak individual frequencies to get it just right. Shuttle features an in-built 6-band equalizer, and supports 3rd party DSP’s, so you can get the most out of your audio. 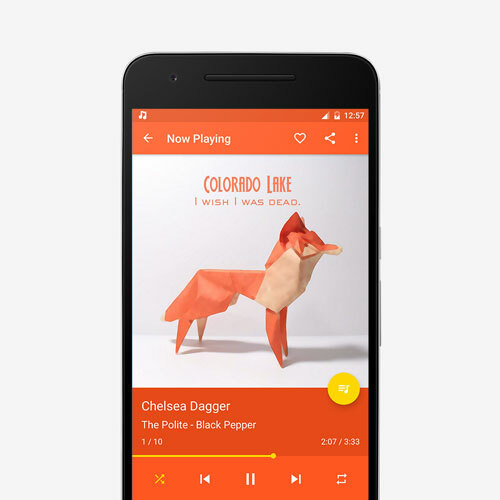 Everything you need in a music player, and then some. Smart shuffle with no repeats! Choose between the free and premium version of Shuttle. Why won’t my music show up? This is a common problem, with an easy solution. 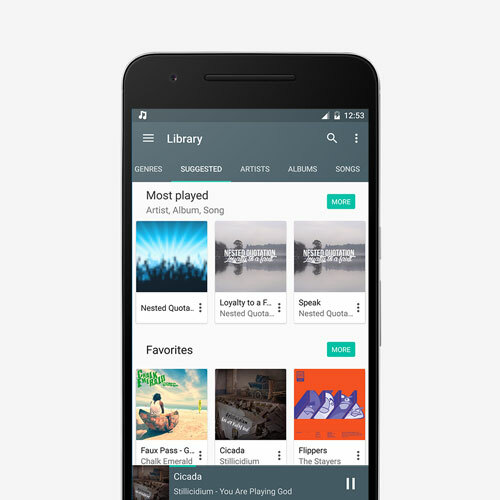 Shuttle uses the Android Media Scanner to find your music. If you have any files starting with a “.” in the directories of your music, e.g. /sdcard/music/.nomedia, this tells the media scanner to skip this folder. You need to delete such files to allow the music to be found. Help! My ChromeCast doesn’t seem to be working? Why does Shuttle seem to use lots of RAM? Shuttle is a very image-heavy app. The images are kept in a ‘memory cache’ so they can be efficiently displayed on your screen, without too much delay. This cache can fill up quickly causing the app to use upwards of 200mb of RAM. This is not a cause for concern, RAM is there to be used!! Anyway, if your device decides it needs more RAM for any reason, Shuttle will drop the images from the cache and free up your memory immediately. I’m seeing double. Why is my music showing up twice? Sometimes the media library on your Android becomes corrupt. To fix this, go to settings->apps->all->media store and click clear data/cache, then reboot your device. After a few minutes, your media library will rebuild. Please note that this will remove your playlists and reset any custom ringtones that you had previously set. What’s the difference between the paid and free versions? The paid version includes many more themes, a folder browser, ChromeCast support and the ability to edit tags. Buying the paid version also helps to support further development. You may get a refund through the Play Store by uninstalling the app in the 15 minute refund window. If you’ve had it for longer than that and you’re still not happy, send me an e-mail along with your order number and I’ll happily refund you. How do I remove an item from a playlist? To remove an item, simply swipe it left-right or right-left. This can be a little.. temperamental, and a new method for removing items is in the works for the upcoming update. The app keeps crashing! Are you going to fix it? There are thousands of different combinations of devices, ROMs, Android versions, carriers and 3rd party apps which can all contribute to strange and unexpected things happening on your device. Shuttle uses Crashlytics to track app crashes, and I’m working as hard as I can to keep these to a minimum. There’s a good chance that by the time you experience a crash, it has already been fixed for an upcoming version of Shuttle. Why can’t I see the songs I downloaded with Google Play music? 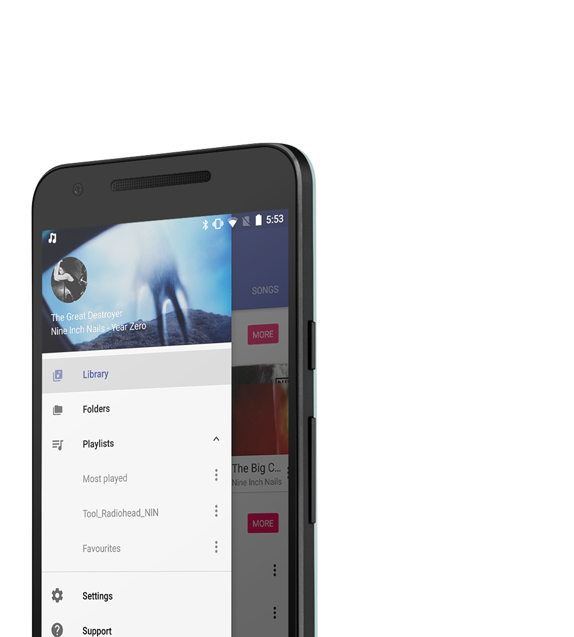 Google have not made the Play Music API publicly accessible, meaning apps like Shuttle can’t access music downloaded via Google Play. This is probably a legal issue between Google and the record companies, so it’s not likely to change. Some 3rd party apps have managed to hack a solution together, but it’s a lot of effort, Google could break it any time, or worse, they could remove Shuttle from the Play Store. Shuttle Music Player is proudly built & maintained by Tim Malseed. If you have any queries, feel free to get in touch. Please note I don't have a whole lot of time to respond to emails. Use 'urgent' in the subject if need be.